It is the time of year again for the Virginia Mennonite Relief Sale. The sale starts Friday evening October 3 and continues on Saturday October 4. I donated my original wall quilt Desert Rose. 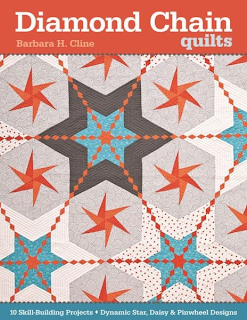 This wall quilt is pictured on my Desert Rose pattern. This is an original by Autumn (my daughter). 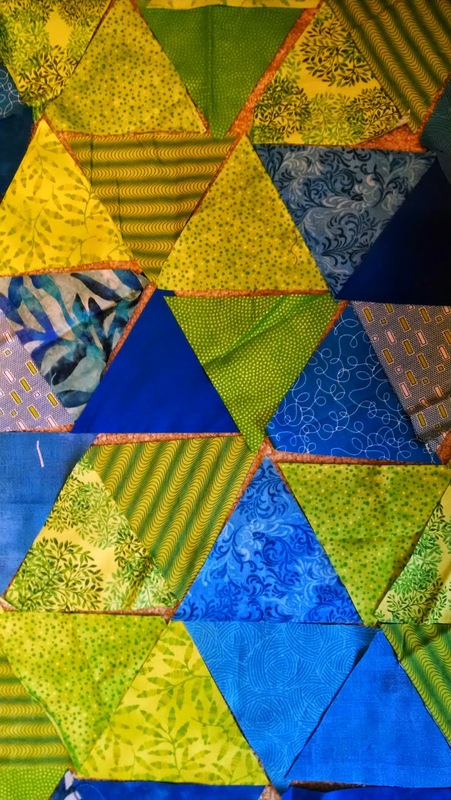 This quilt will also be sold at the Mennonite Relief Sale. 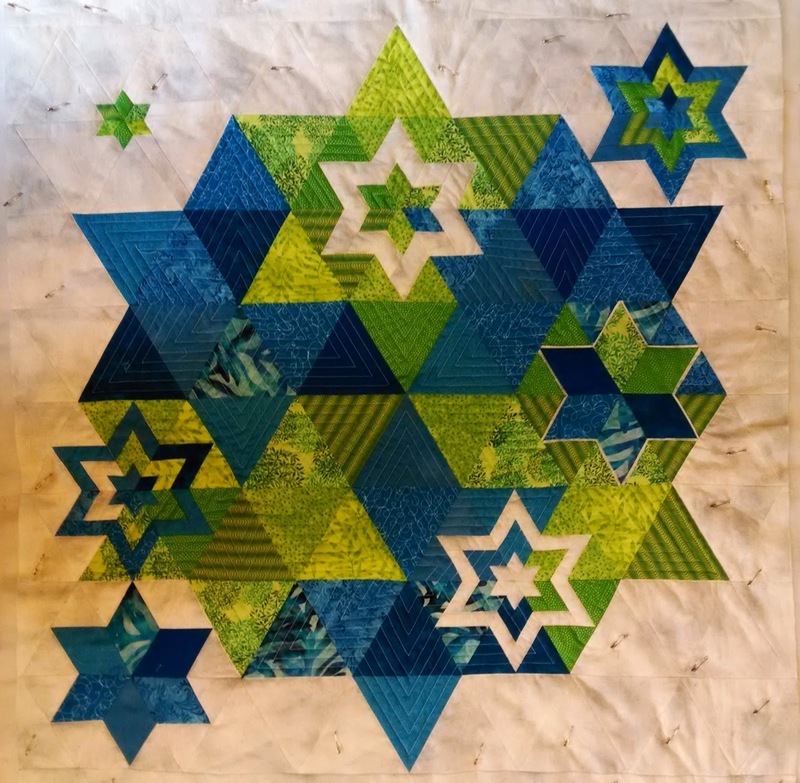 The Dayton Mennonite Sewing Group hand quilted this quilt and Margaret Layman pieced it. 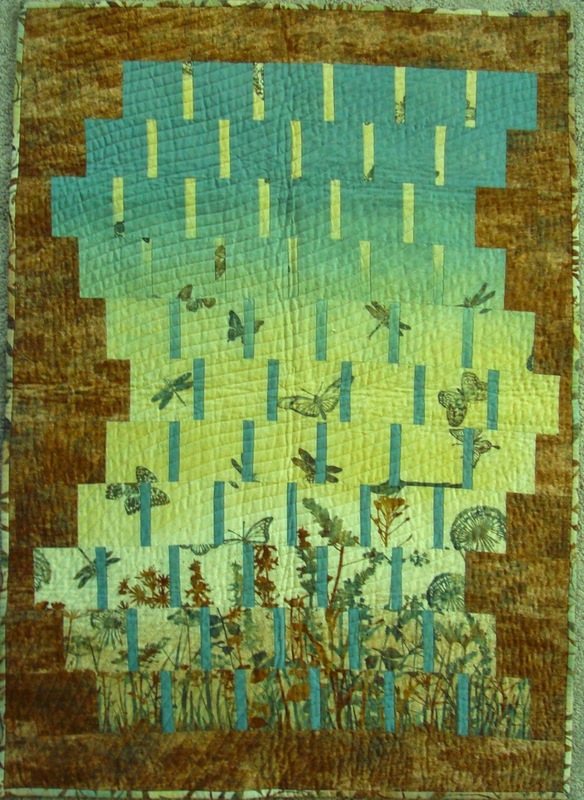 This is also one of many quilts that will be sold at the Virginia Mennonite Relief Sale. 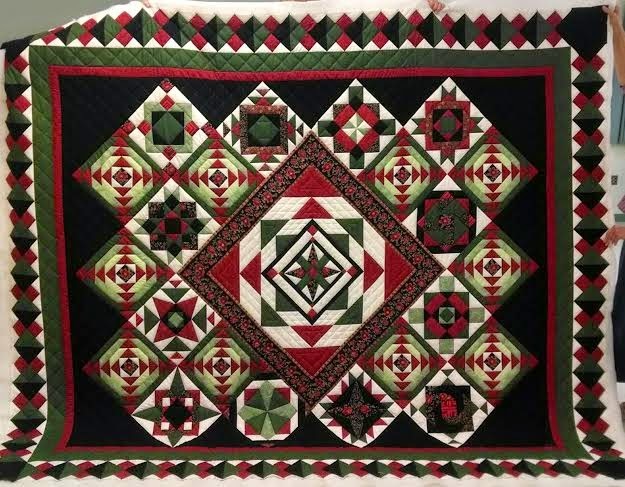 Check out this link to see all the quilts that will be at the auction. 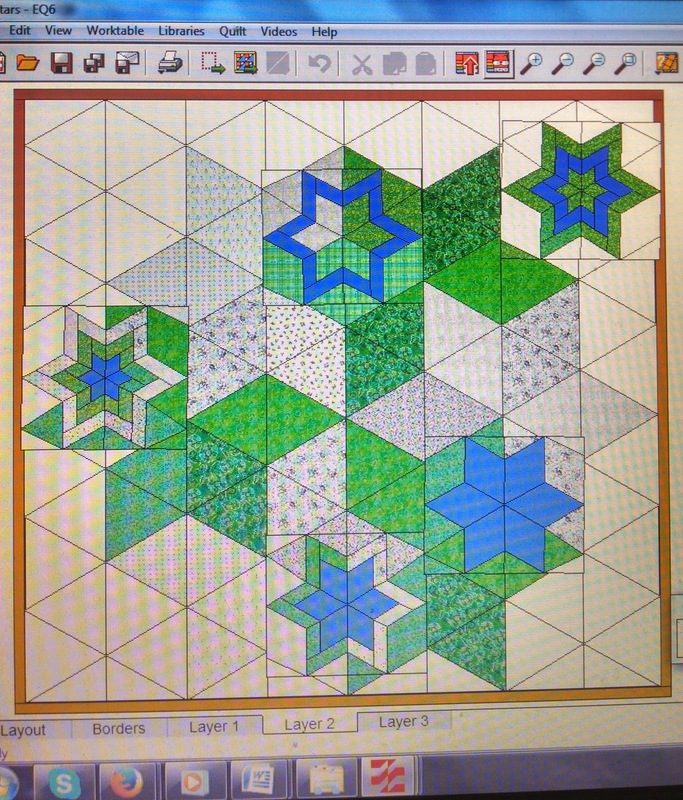 This is a design I created on my electric quilt program. 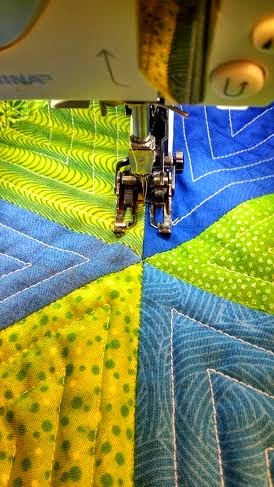 values of fabrics work best for the quilt. 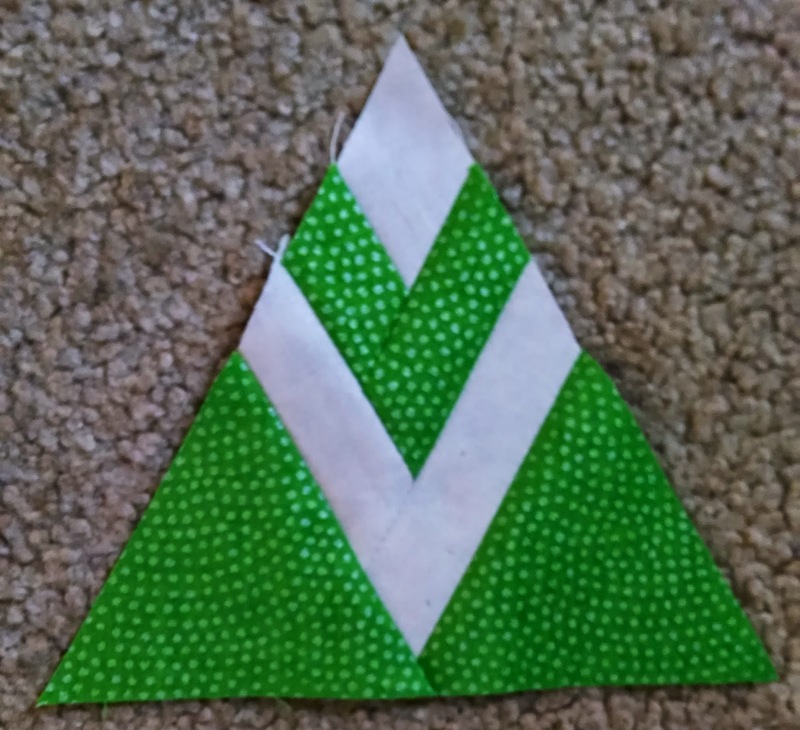 Here is one of the many triangle units. 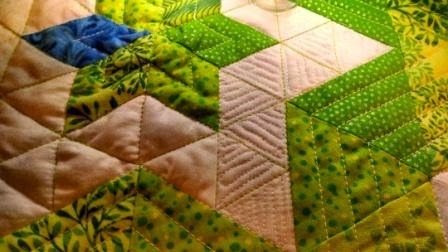 I quilted between the stars with green thread and kept the needle on the green fabric. I echo stitched the stars with white quilting thread. This helped make the stars stand out. 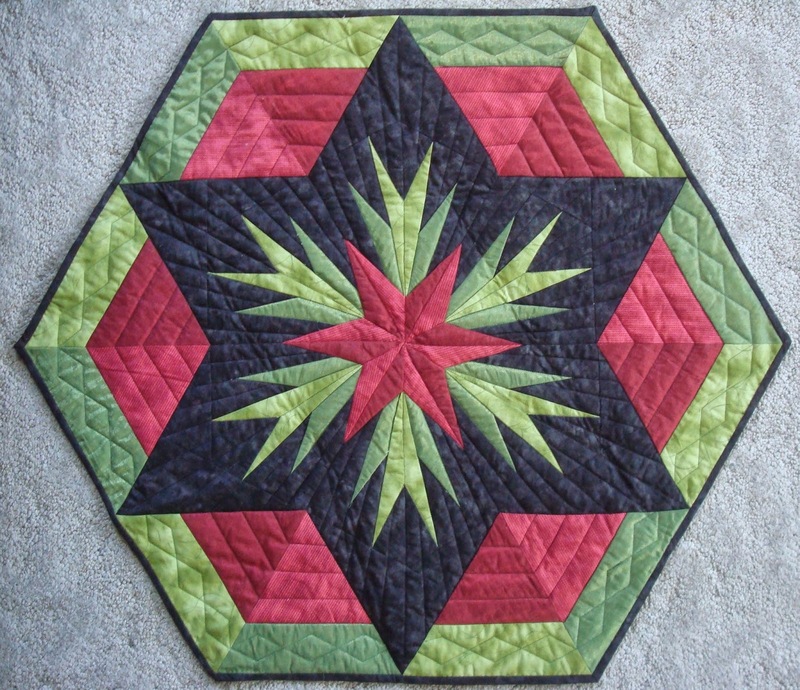 I used finer stitching in small stars. I will use variegated green and blue thread for the background. 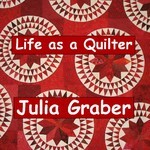 I will blog about the finished quilt next time. 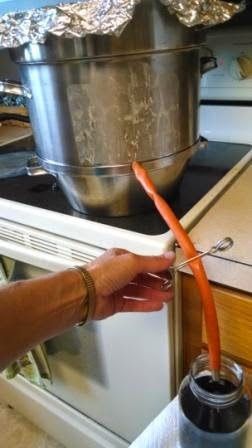 While I was quilting I also had my steamer cooking grapes. 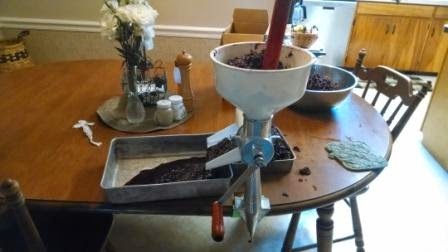 About every 30 minutes I would add grapes to the steamer, stir the grapes and then fill 2 jars. The pulp that was left in the steamer I ran through my Victorian squeezer which took out the seeds and skins. What you see in the pan on the left I will make grape pies with. Delicious with vanilla ice cream. 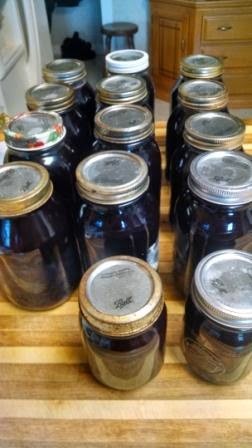 Now I have grape juice concentrate ready to mix up this winter. This is a Sunday evening favorite served with popcorn. I love the block that you designed, it's beautiful. Your use of fabric to bring your design to life is so well done. Beautiful! Wow, love what you have been creating!!! Fabulous!!! These are all beautiful. And I loved seeing the pattern design in EQ, as well.